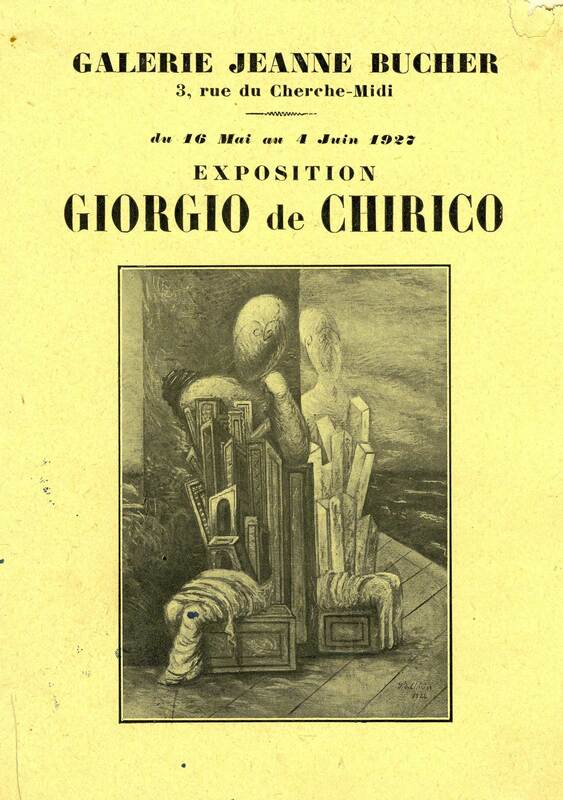 His sole exhibition, in May 1927, presented about fifteen paintings from 1913 to 1927, among which was his celebrated Mannequins au bord de la mer. It drew the attention of Waldemar Georges, Max Ernst, Jean Cocteau, Charles de Noailles, Paul Guillaume and Albert Barnes. It testified Jeanne Bucher’s independent spirit who wished to celebrate an artist known for his recent disagreement with the Surrealists.